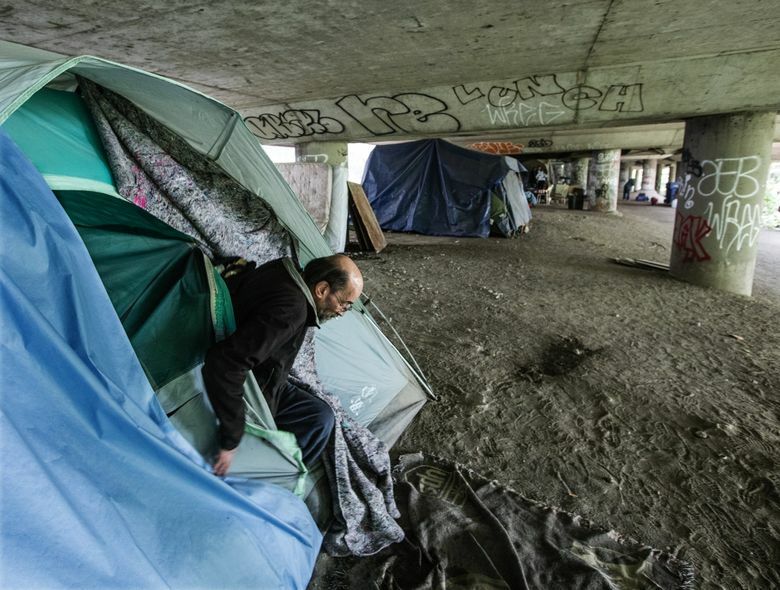 State and city officials Tuesday announced plans to move people out of Seattle’s homeless encampment known as The Jungle. 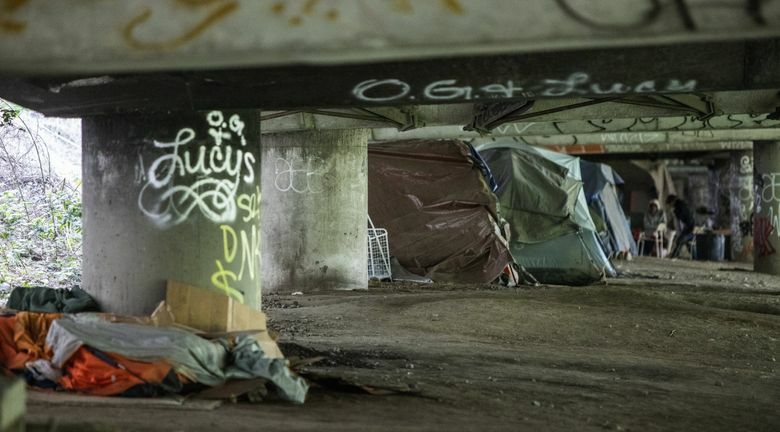 State and city officials Tuesday said they will move people out of Seattle’s homeless encampment known as The Jungle in the next few weeks, but some residents there say the plan won’t succeed. 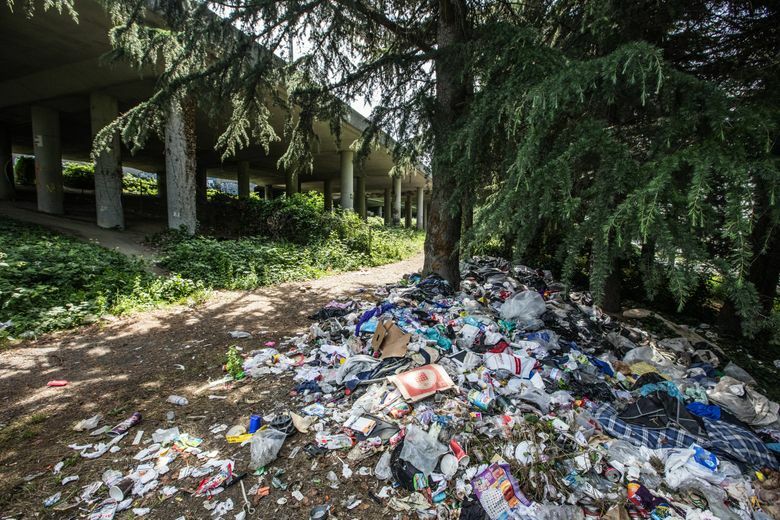 Officials intend to connect the encampment’s residents with shelter and social services, as they clean up health hazards like garbage and human waste. Then, state and city agencies will improve access to the area for maintenance workers and first responders, and ponder a plan for the future of the site. 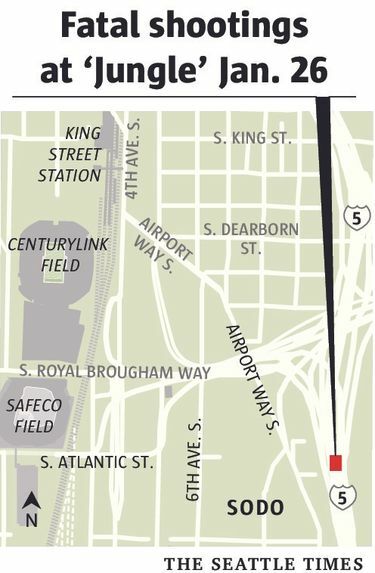 The Jungle, on a wooded expanse of land stretching along Interstate 5 from Sodo to Beacon Hill, has had a troubled reputation that culminated with a January shooting that killed two and injured three others. The shootings came just months after city and King County officials deemed the homelessness problem so bad it required a state-of-emergency declaration. In a Tuesday morning news conference along with city and state officials, Jeff Lilley, president of Seattle’s Union Gospel Mission, said some housing already has been set aside for the encampment’s estimated 300 people. “We’re going to do our best to offer shelter, housing where we can find it,” Lilley said. Union Gospel Mission outreach teams will over the next few weeks attempt to build relationships with people at the encampment. They’ll offer shelter beds and help with transitional housing, case management, addiction treatment, food assistance and medical services. The camp’s inhabitants may also receive motel vouchers and travel assistance. While a city official said arrests aren’t anticipated to clear the encampment, Lilley acknowledged the difficulty of helping those with addiction or mental-health problems, legal troubles and poverty. The plan envisions an encampment-free future. After people have been moved, the Washington state Department of Transportation (WSDOT) will clear fire hazards, debris and brush from under the highway. The city will then remove debris and vegetation from the hillside above. WSDOT also will improve the gravel roads running alongside the freeway to ease access for first responders, outreach teams and maintenance workers. And the city will hire an independent consultant to work with officials and community stakeholders to recommend options for how the site will be used and accessed in the future. The plan will be funded with city money and $1 million approved this year in the state’s transportation budget for WSDOT to tackle problems at The Jungle. The mission won’t be accepting funds from the city or state for its role. 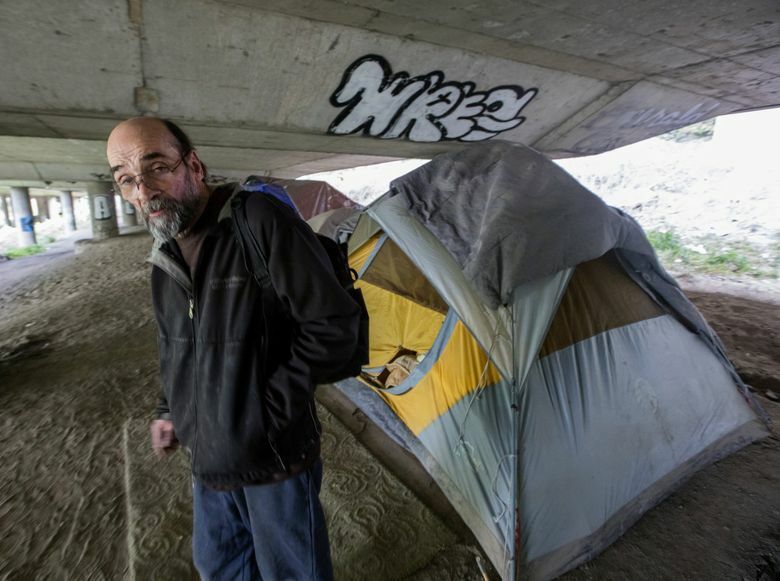 Encampments may be a short-term solution for homelessness in some cases, Carlyle said. But with The Jungle, “I just think we’re better than this as a state, than to allow this kind of dangerous environment without a support system to make it work,” he added. Reaction to the news was similar among residents at The Jungle. The half-dozen people interviewed Tuesday said they thought it was a bad idea that would not ultimately succeed. First off, residents wanted to know when the presumed closure would occur and how it would be handled. Another man, who described himself as a disabled veteran, said that despite some problems in The Jungle, it is a better and more humane living space than the streets. Another man who didn’t want to be named said people are not overly worried. “It’s going to take them a long time and cost a lot of money,” the man said. He said some people are starting to move their belongings to another place temporarily, but will return once the city’s interest dies down.